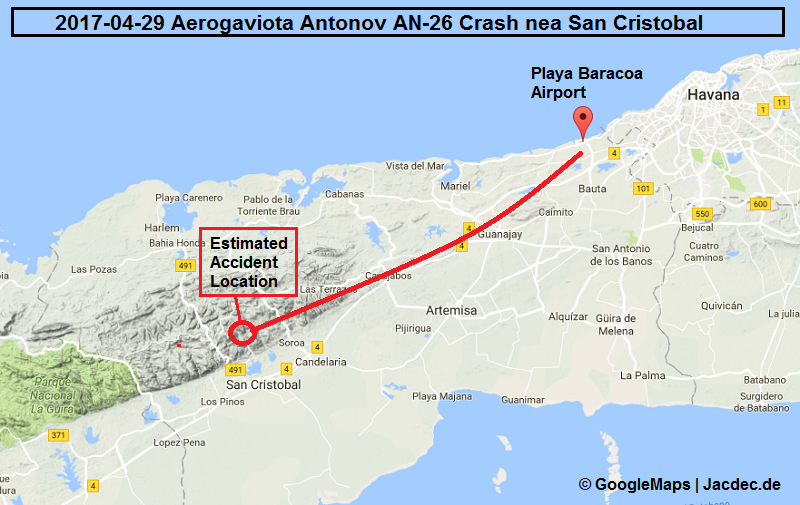 The aircraft crashed in mountaineous area north of San Cristobal. None of the eight persons on board survived the accident. The aircraft departed Playa Baracoa at 06:38L on a military support flight carrying eight crewmembers on behalf of the Cuban Air Force (Fuerza Aérea Revolucionaria). Due to yet unknown circumstances, the aircraft is known to have crashed northeast of the city of San Cristobal in the Loma de la Pimienta Mountain Range in the area near Las Terrezas. The accident site is located in a difficult to access area. Rescue operations are underway but there is no hope to find any survivors. At the time there were no adverse weather conditions prevailing. The aircraft involved was not identified yet. 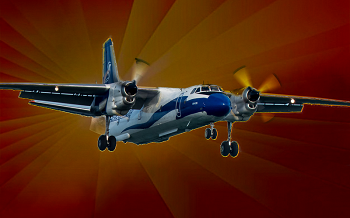 Aerogaviota possesses four AN-26’s that have an average age of over 38 years. 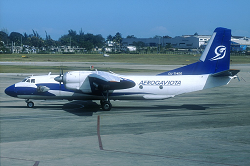 The aircraft was identified as a 1985 built An-26, registration CU-T1406 previously operated on behalf of Cuban Air Force. Furthermore, the author cannot be held accountable for correctness, completeness or quality of the information provided herein. Liability claims regarding damage caused by the use of any information provided, including any kind of information which is incomplete or incorrect, will therefore be rejected.